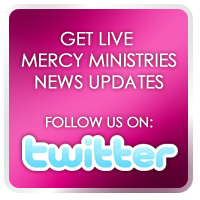 Mercy Ministries News: Tune in TONIGHT for Mercy Multiplied with Nancy Alcorn During DRIVE TIME! Tune in TONIGHT for Mercy Multiplied with Nancy Alcorn During DRIVE TIME! You won’t want to miss tonight as we begin airing our Mercy Multiplied radio show in our NEW TIME SLOT during drive-time from 5:15 – 5:45 PM (CST) on KXEN 1010 AM Christian Talk in St. Louis! Every THURSDAY and FRIDAY, as you drive home from work or school or while getting ready for dinner, tune in and be encouraged by testimonies of healing and transformation shared by Mercy Founder and President, Nancy Alcorn, and many of our Mercy graduates! No matter where you live in the world, you can tune in by downloading a free app for your iPhone or Droid by searching for KXEN 1010 in the app store or listen to the show on your computer by heading to our website at www.mercymultiplied.com. 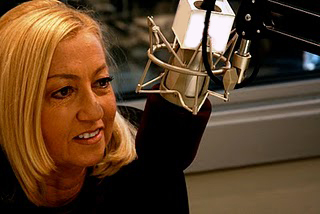 Listeners can call 1-855-MercyLive (1-855-637-2954) during Thursday’s show to talk to Nancy, share stories and ask questions about numerous relevant topics making headlines today in the U.S.
Join us for this powerful broadcast as Nancy speaks about pertinent issues and shares practical applications on how to find freedom from life-controlling issues such as addictions, self-harm, eating disorders, etc. Be sure to tune in every THURSDAY and FRIDAY at 5:15 PM (CST) on KXEN 1010 AM!